If you're a blogger, you're probably a member of a blogger club. There are tons out there, and most are very helpful communities to help build your blogging skills, help you meet new people, and more. But sometimes it's hard to find one that's for you. 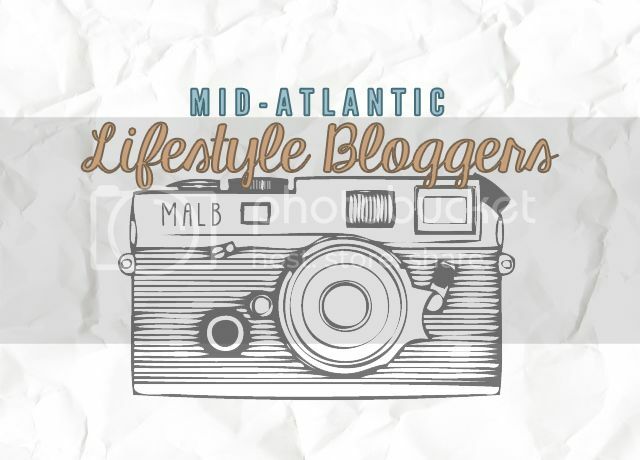 Well, Jess over at Writing in Red Lipstick and I have gotten our heads together, and we wanted to start a group that was for the lifestyle bloggers of the Mid-Atlantic area. We wanted a place that focused on those that write about their lives and what those lives entail. We hope to create a community that thrives on helping lifestyle bloggers connect, share interests, gain feedback, and hopefully find a few loyal readers on the journey. Thus, Mid-Atlantic Lifestyle Bloggers was born. We've defined the blanket term Mid-Atlantic as lifestyle bloggers who reside or go to school in Virginia, DC, Maryland, West Virginia, Pennsylvania, Delaware, Ohio, Kentucky, Tennessee, and North Carolina. However, if you're from a nearby state and feel you belong in our group, don't hesitate! While we're in the beginning stages of creation, we'd love to have fellow lifestyle bloggers join our Facebook group! We will be having a Twitter chat tomorrow, Wednesday, August 19th at 11am using the hashtag #MALBchat. Feel free to join in and get to know Jess and I and the other members!